The Delhi University which is quite famous with the name DU is the premier university of our nation, India and has gain goodwill for its high standards in research along with teaching which attracts eminent scholars to its faculty. Mainly it was established in 1922 as an University of residential, teaching and unitary by an Act of the Central Legislative Assembly. The president of our India is the visitor, the Vice President is the Chancellor and the Supreme Court’s Chief Justice is the Pro-Chancellor of the University. 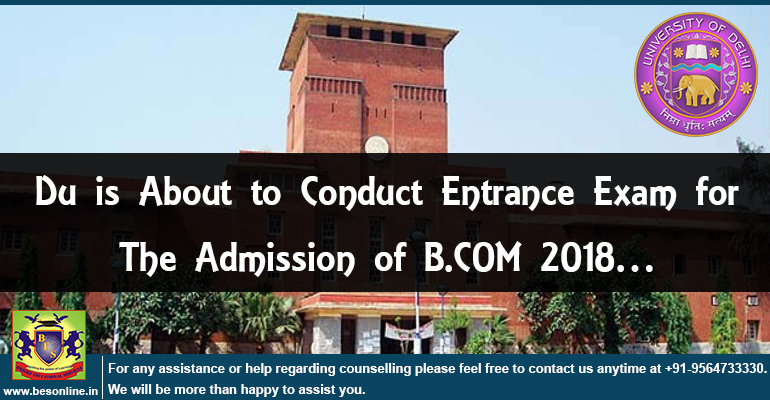 So, Delhi University is now fully set to offer admission to candidates in its courses of B.COM for the year 2018 through an entrance exam. 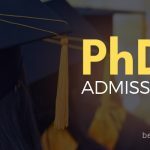 Although not a single notification has been released by Delhi University (DU) in this matter, however a leading media company has stated that Delhi University officials have shared that aspirants who are seeking admission in the colleges of DU for B.COM (Hons) programs will be shortlisted for the admission. But the admission procedure will be done on the basis of their performance in DU B.COM entrance exam 2018. Trusted sources shared that this entrance exam for B.COM will be conducted at an All India Level. Marks of this entrance exam will surely be accepted by some of the most reputed DU colleges such as:-Shri Ram College of Commerce (SRCC), Hindu College, Lady Shri Ram College for Women (LSR), Tesus and Mary College (JMC), Hansraj College and the list goes on. 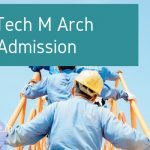 Till last year which is 201, the colleges of Delhi University shortlisted candidates for the admission in the courses of Bachelor in Commerce (B.COM) on the basis of their class 12 marks. The test pattern of this entrance exam has still not been formulated by DU yet. No official decision has been taken by the varsity in relation with the pattern, test dates and duration for the entrance exam of 2018. However various sources have shared that the exam pattern of University of Delhi (DU)’s B.COM entrance exam can be same to that of Delhi University’s JAT exam, conducted by the varsity for admission in BBA/BMS/BBE Courses. Delhi University even conducts Delhi University Entrance Test (DUET) to shortlist candidates for the admission in different Undergraduate and Post Graduate programs. Stay tuned to Bright Education services for latest and upcoming exams of various renowned Universitie’s Entrance Exam 2018. If you still have any doubt or query related to same, feel free to ask us in the comments section below. 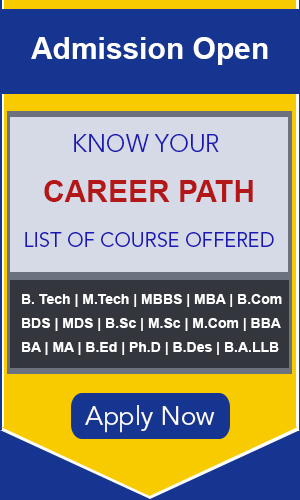 And if you want to go for an exam and you are confused in selecting the college, find insights and recommendations on colleges and various exams, that you won’t find anywhere else. ← 5 Reasons to Study MBBS in Nepal!